Interested in all areas and aspects of computer graphics. I have self taught graphic design skills and enjoy creating matte painting and motion graphic. I&amp;#039;m seeking opportunities that will both challenge my skills and continue my growth. Interested in all areas and aspects of computer graphics. 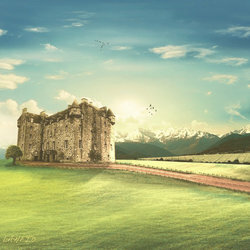 I have self taught graphic design skills and enjoy creating matte painting and motion graphic. I'm seeking opportunities that will both challenge my skills and continue my growth.